A new legal ruling is a stark warning to contractors about beginning work on a project without finalising the contract first, says a leading construction consultancy. MPG, which advises contractors, employers and project managers worldwide, says the industry should take note of the Court of Appeal decision. It reversed a previous decision on the dispute between AMEC and Arcadis, ruling that even though a contract hadn’t been completed, terms in a letter of instruction still applied. Problems began when Arcadis was employed to design a car park and began work with only a letter of instruction from the employer, AMEC. It was planned that both would sign up to a detailed contract but it was not finalised. When it was discovered that the car park had to be rebuilt because of faults, Arcadis rejected claims that it was liable because of design error. It also said a cap on liability had been agreed at £610,000, compared with the £40 million cost of rebuilding the structure. When the case first came to the Technology and Construction Court, those claims were rejected, meaning Arcadis would be fully liable, but the Court of Appeal ruled otherwise. 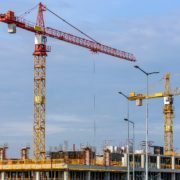 That was because even though the letter of instruction didn’t mention a liability cap, it alluded to pre-existing terms and conditions agreed between the two companies on another project, which did specify a cap. The year 2018 will be remembered as the one when it became absolutely essential – if it wasn’t already – for contractors to have effective programmes in place when undertaking major construction projects. The new and much more extensive FIDIC Yellow Book, published on December 5 alongside updated versions of the red and silver books, introduces conditions that make implementing programmes and cost controls even more important on developments where an engineer has been appointed as project manager. Because of numerous new clauses, programmes will be vital in 2018 if contractors are to protect their interests when claiming for delays or combating counter-claims. Programmes are necessary for claims because they become yardsticks against which to measure the effects of delays. FIDIC already requires a baseline programme to be produced by the contractor, and the new edition – the first for 18 years – brings in new clauses in critical areas, including early warning, that ramp up the requirement for accurate monitoring and record-keeping. Contractors need to consider if they have enough of the right personnel in their admin teams to produce, revise and update programmes as well as to keep accurate cost records. While the new Yellow Book increases the administrative burden on contractors, they may be comforted to know that it also sets out to reset the balance of responsibilities between employers and contractors. For example, employers no longer have an open-ended claims window with the introduction of new deadlines for both parties. Contractors must revise programmes when the baseline programme no longer complies with the contract, it is no longer consistent with progress or extensions of time have been awarded. It is also crucial to produce updated programmes at regular intervals to record progress and to predict the completion date. These will be invaluable in any analysis to establish the effect of delays. Contractors should keep accurate cost records because FIDIC allows for Contractors to claim for incurred costs in certain circumstances. In the case of a breach of contract, the law provides that the other party is entitled to be put back in the position that he would have been had the breach not occurred. The Yellow Book is the recommended “design and build document for projects where the employer wishes to protect its interests by appointing an engineer to supervise the overall construction of the works, notwithstanding that the overall responsibility for design lies with the contractor”. At more than 100 pages, the new edition is much longer than its predecessor. It introduces a provision for early warnings designed to encourage the contractor and the supervising engineer or project manager to work together to tackle the delay rather than apportion blame. While it is unclear what steps they will be required to take, documenting the process and any agreements will be critical if the issue deteriorates so that one party makes a claim against the other. The claims procedure in the new version of the Yellow Book now runs to three pages, and introduces a 28-day deadline for giving notice of a claim that applies to both contractor and employer. The notice period extends from when the claimant becomes aware of the event or ought to have become aware. The claim itself has to be submitted within 42 days. To avoid formal adjudication where possible, the Yellow Book introduces a clause to allow both parties jointly to refer to the Dispute Adjudication / Avoidance Board. That’s indicative of a general movement in the FIDIC books towards encouraging parties to work together to resolve matters before claims. If the additional conditions mean fewer escalating disputes, everyone should welcome the new Yellow Book. Michael Gallucci is the Managing Director of MPG, a UK-based consultancy providing surveying, project management, expert witness and dispute resolution service. He is an experienced MEP quantity surveyor and quantum expert witness with over 25 years’ experience in the construction industry, specialising in mediation, arbitration and dispute resolution. He has an MSc in construction law and arbitration, and is a member of the Society of Construction Law, the Chartered Institute of Arbitrators and the Royal Institution of Chartered Surveyors. We don’t know just how many construction contracts end in dispute, but it’s plain to see the sector is far more prone to legal wrangling than other spheres of business. The issue was officially recognised with the launch of the Conflict Avoidance Pledge, which aims to change behaviour in the land, property and construction industry by getting firms to look at their working practices and the way they deal with disputes. I spend much of my time advising clients how to avoid disagreements by understanding their contracts and having proper administration in place, but I also spend a lot of time helping to solve cases that have reached the courts. My own experience reflects the wider picture that many of these arguments could have been settled without formal litigation, and without the associated costs. It is startling how eager developers, contractors and joint venture partners are to take each other to court, even when there are initiatives designed to encourage them to seek alternative resolutions. Both parties in a dispute are supposed to at least consider mediation before commencing proceedings, but they can circumvent the Pre-Action Protocol for Construction and Engineering Disputes by mutual agreement and routinely do so. 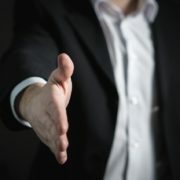 Often, contracts stipulate that parties should seek mediation in the event of a dispute, but it’s not mandatory and generally the clause gets ignored. But look at what happens once you head for court. As the aggrieved party, you complete a form and send in a court fee. In the construction sector, we’re used to dealing with big numbers, but even a relatively modest £100,000 claim will usually mean a court fee of £5,000, and it rises proportionately. Next, you send your claim to the court. The other party responds. The judge tells you both to go to see a mediation service. Given that 90 per cent of cases get settled at mediation, surely it would make sense to circumvent the court process and, for a fraction of the court fee, go to mediation. Another huge benefit of mediating is the time it takes to resolve a case, usually only one or two days. Compare that with the average length of time it takes a case to get resolved in the UK courts, which according to one report is 12 months. In the UK, we supposedly have a fast track court process, but while it may be swifter than similar systems elsewhere, it is certainly a stretch to describe it as fast. Why are firms reluctant to mediate? 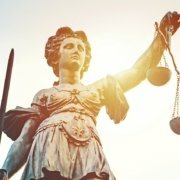 One reason is that one party or another in any dispute may simply hope the problem goes away before it comes to the crunch and they have to face the judge. Another is that mediation may seem unfamiliar. Yet mediation is not uncommon in the construction industry. As I mentioned earlier, cases that reach the courts routinely wind up in mediation. This is because official guidance states that courts should encourage parties to use alternative dispute resolution, which almost always turns out to be mediation. Independent mediators are there to get a discussion going so that the parties can resolve their differences. Unlike with the brutal winner and loser scenario of a court judgement, this can enable the business relationship to continue. I fervently believe that prevention is better than cure, and I would urge contractors to get expert advice on contracts, establishing programmes and setting up proper administration. However, if things do go wrong, I would urge everyone involved in a dispute to consider mediation as the first point of call. 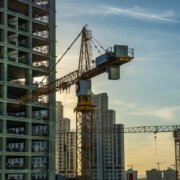 Michael Gallucci, managing director of construction consultancy MPG, advises firms affected by the collapse of Carillion how to respond. When contracting on construction projects, it’s imperative to have appropriate written agreements and programmes in place. Often, contracts give both parties the right to terminate if one or either becomes insolvent. That means you can walk away from a project without incurring any further costs but what should you do about the money you are owed for the work you have already completed? That’s the shadow hanging over around 30,000 businesses collectively owed £1 billion following the collapse of Carillion which has left chains of first tier suppliers and sub contractors in limbo. The scale of this insolvency is extraordinary but the same common sense responses to a customer in insolvency still apply. Firstly, it’s worth getting a good sense of how exposed you are. Clearly, if your business depends for its survival on the next payment from Carillion, as is sadly the case for some, it will be your number one priority. However, if your exposure is far from critical, it would be a mistake to spend every working moment on the issue when you have other customers to look after and opportunities to pursue. Having said that, you still need to take some action urgently. You may have seen news about banks creating a fund for firms affected by the collapse and of a new government task force to address the issue but don’t take those as an excuse to do nothing and hope for the best. There are plenty of things you can do now to protect your business. Step one is to look at where you have outstanding contracts and whether these are affected directly or indirectly with Carillion. This is a list of the companies in liquidation: Carillion plc, Carillion Construction Ltd, Carillion Services Ltd, Planned Maintenance Engineering Ltd, Carillion integrated Services Ltd and Carillion Services 2006 Ltd. The liquidators, PwC, have set up a website for everyone affected. Go to https://www.pwc.co.uk/carillion and select ‘Suppliers’. Check your contracts in both directions, firstly to see if you’re entitled to suspend or terminate your contract with your customer and secondly to see what your options are with anyone that you are sub contracting to. 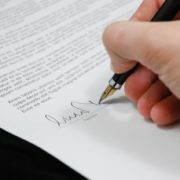 If you decide to take action under your contracts, make sure you do this within the terms of the contract. Your contract with your customer may set out specifically what should happen if one of the parties in the supply chain becomes insolvent. Make sure you understand it and keep track of progress. If the contract doesn’t do this, take steps to retrieve the money owed to you, which may be through legal means or withholding future work on the project until you are paid. Take steps to protect any physical property or supplies that you have not been paid for, making sure to do so within the law, of course. I am a strong advocate of effective programmes and record keeping to protect yourself in the event of disputes or situations that lead to potential non-payment such as your customer going into liquidation. If you don’t already have full written records of the work you have carried out on any projects affected by the liquidation of Carillion, prepare them now. There is much in the media about lessons to be learnt from Carillion. For contractors, the affair should encourage a review, firstly of how they enter into contracts and secondly their effectiveness at managing programmes and record keeping because when things go wrong, these can be the difference between being paid or losing everything.